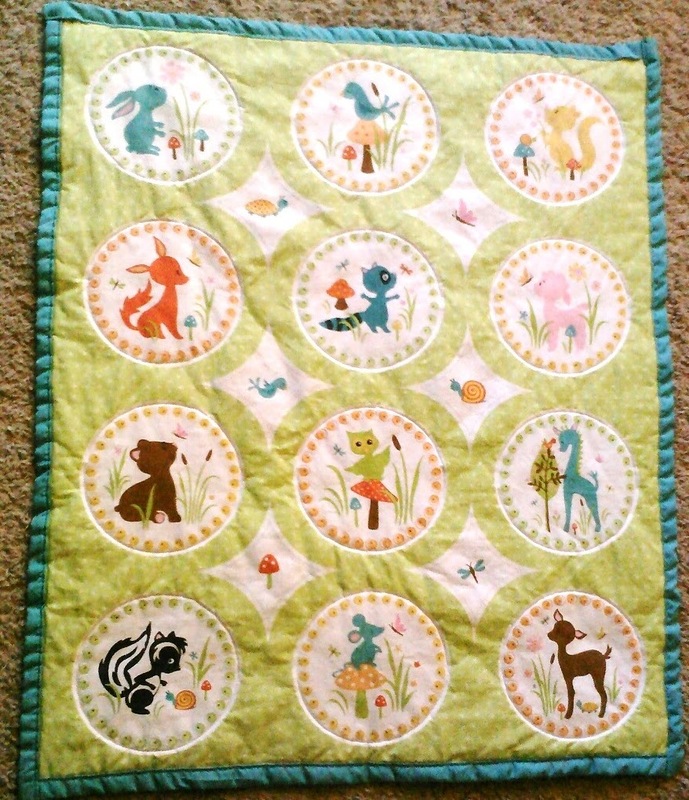 I made this baby quilt for Natalli's nursery. 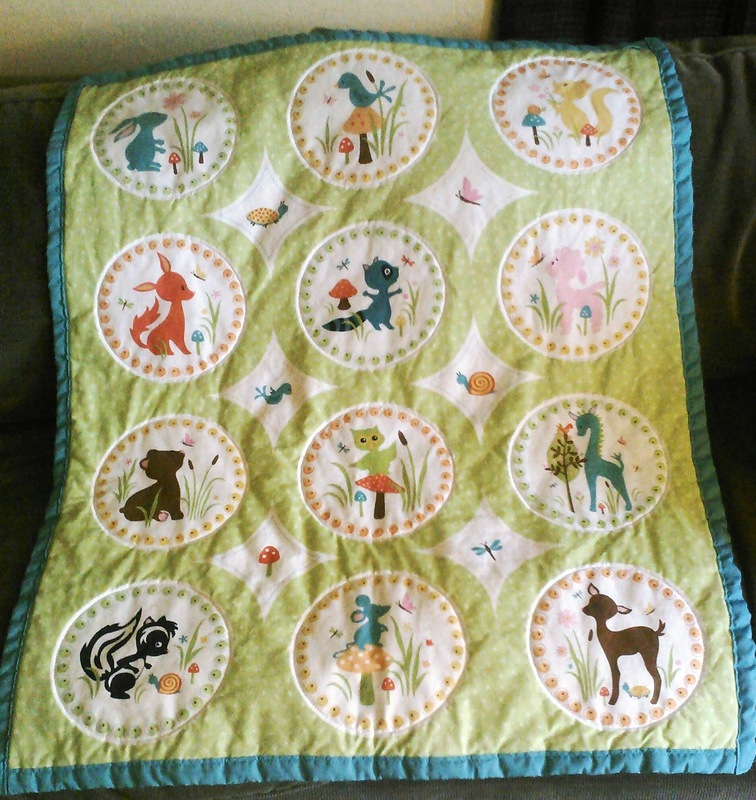 We're excited for her twin girls to arrive! 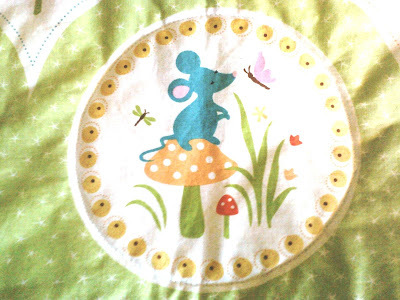 The first step is to cut your top fabric and some batting to the same size. 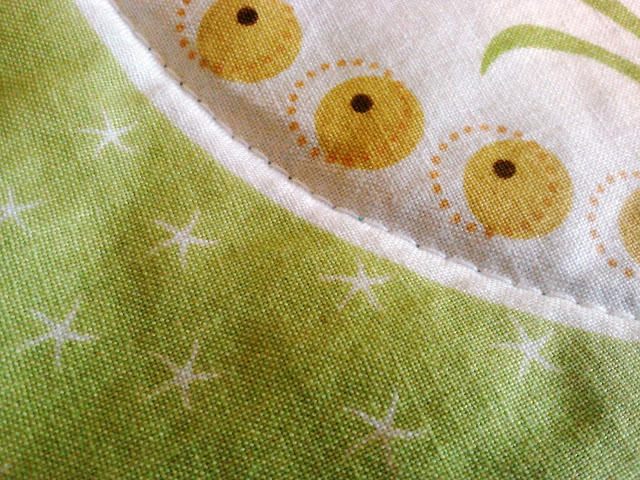 Lay those face up on the back fabric, which should be wrong side up. 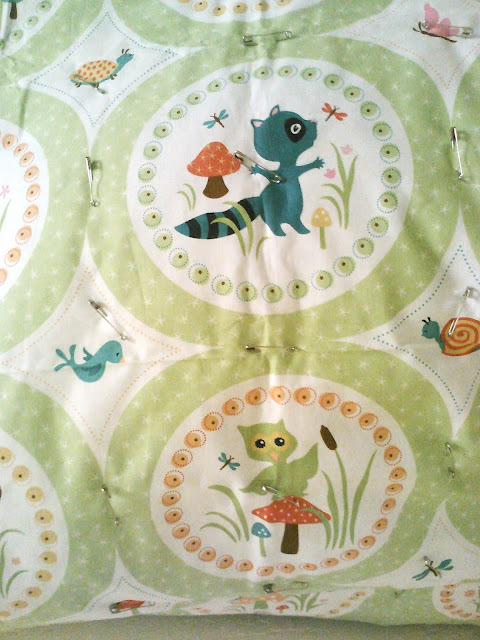 The back fabric should be about 2 inches larger than the quilt top all the way around (this will become the binding). Smooth the fabric and start pinning from the center outward. 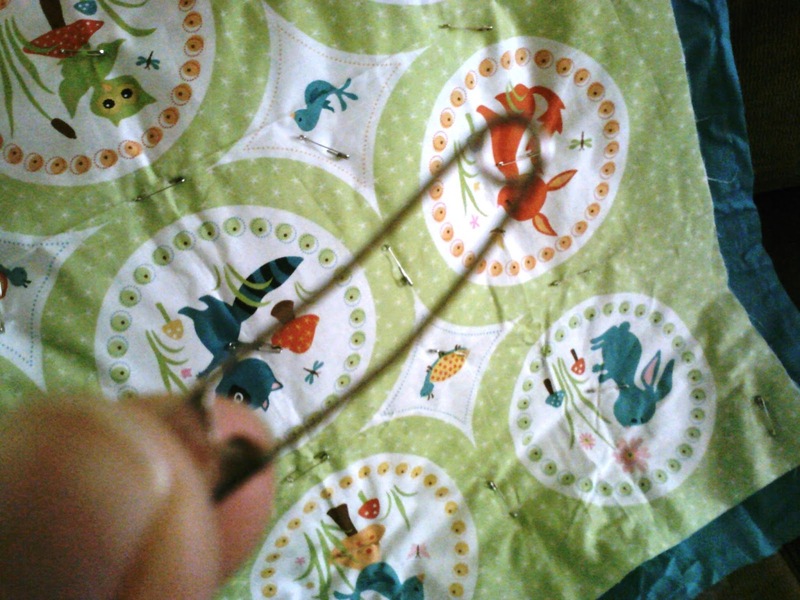 Quilting pins are great because they're slightly curved, which helps the pin go through all 3 layers easily. You want to use a lot of pins so the layers are secure. 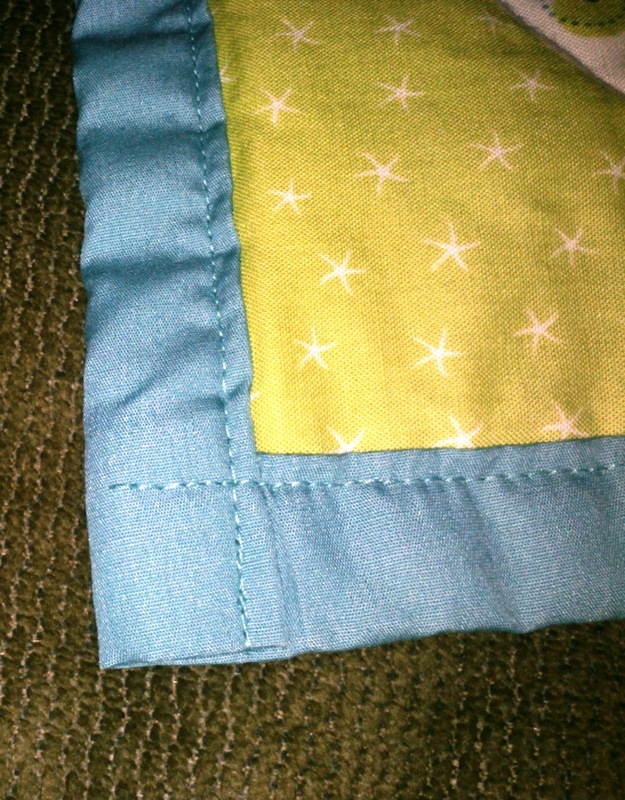 For sewing the quilt, I didn't have a walking foot so I just used the regular foot and it worked fine. It's best to use thread that matches your top and bottom. 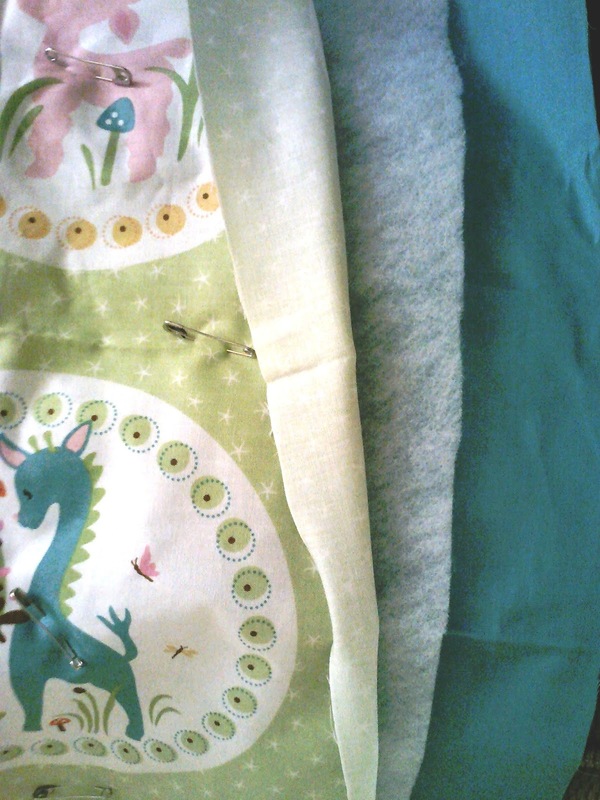 In this case, white on top and teal for the bobbin. I set my stitch length to 4 (pretty large) and sewed around each circle S-L-O-W-L-Y. Someone more skilled could probably handle a faster speed, but the slowest setting is what worked for me. Make sure the material is staying smooth as you go. 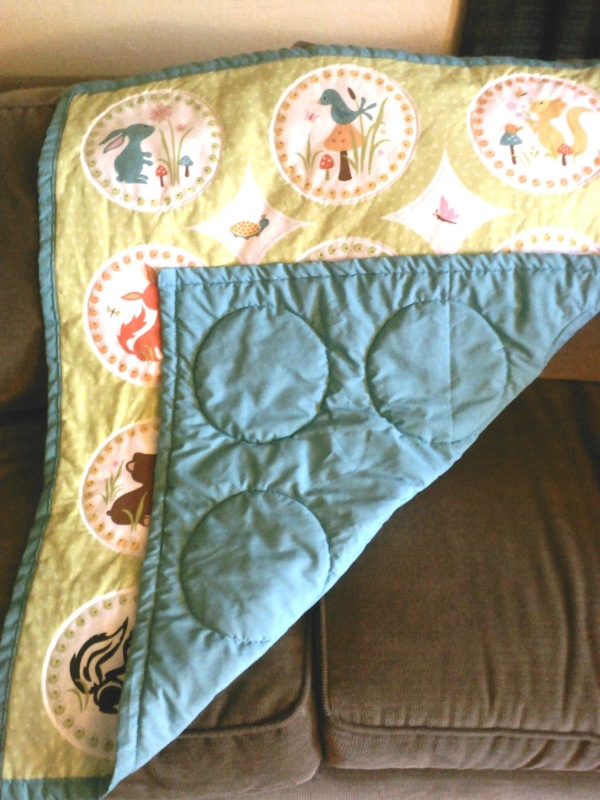 Just like pinning, start sewing in the center of the quilt and work out to the edges.